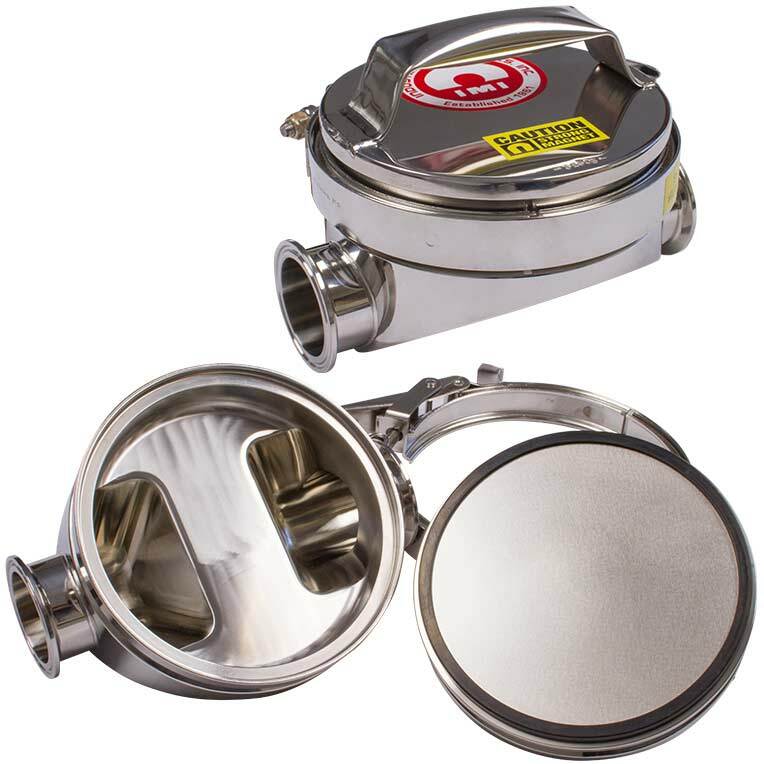 Industrial Magnetics, Inc.'s Liquid line T-Traps remove unwanted ferrous and work-hardened stainless contaminants from processing lines. They capture fine ferrous particles that are created by wear of upstream processing equipment and often pass undetected through electronic metal detectors. T-Traps are typically placed in front of pumps, screens and mills to protect vital plant equipment from costly metal damage and system downtime. 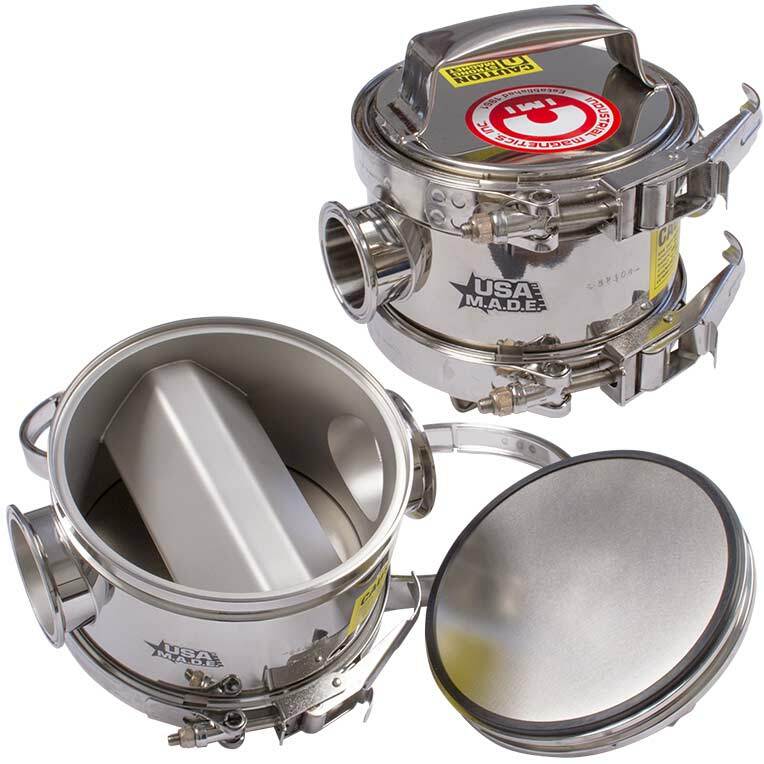 Plate Style Liquid Line T-Traps are recommended for low volume applications requiring gentle flow characteristics or for fragile products that may contain long, sinewy items, larger chunks and hard-to-move products such as fruit preserves, cooked meat chunks and cottage cheese. Installation of the Plate Style magnet can be in any position. For complete body drainage (no sump area), install T-Traps in vertical lines. Installation locations must allow access for cleaning collected metal from the magnet(s). T-Traps can also be mounted in horizontal or sloped lines without affecting the magnetic efficiency.